Seeking for honest and caring woman. Nicholas3333 is a Male dating in Arizona, United States. 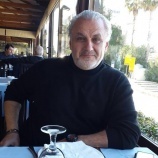 Check the description of this 56 years old profile, he is Other and Non Religious maybe this matches your profile description and you can both start dating in Ireland for free. The stars says he is a Scorpio maybe you should check your horoscope and match up your star sign.